He, however, promised that it will not be the same in 2019 as president Candidate of the Peoples Democratic Party, PDP Atiku Abubakar will make funds available and empower youths. 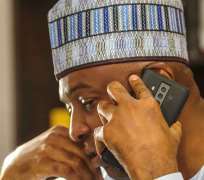 Reacting to the audio, Bashir Ahmad, Buhari’s Special Adviser on New Media in a post on Twitter agreed with all Saraki allegedly said. “This audio will make you understand what those people are really fighting for. (fighting for themselves ONLY, not for you or for the country).